Exaggerated backlight striping issues may be a distraction for dedicated home cinema fans. 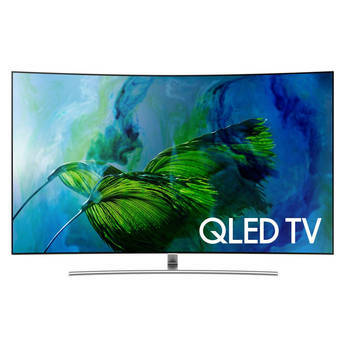 But for more casual users the Samsung QE55Q8C is a beautifully designed and uniquely talented TV that’s just about ‘out there’ enough to justify its £3000 price tag. 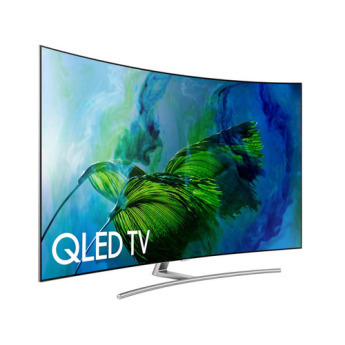 The Samsung QE55Q8C is a premium-build curved version of the Q7F. It uses identical QLED technology to produce amazingly bright, colourful images, and has a bigger sound system delivering 60W of total power. 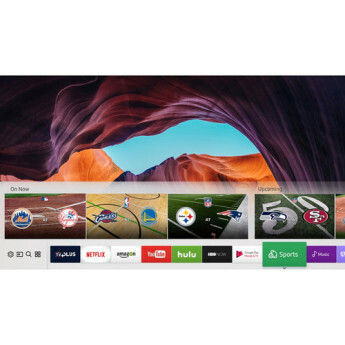 It's an amazing TV on every level, but its pricing at launch is far too high. I just bought QLED 55" on 11/19/17. The sound is good and the picture is perfect. I can buy the 7 series cheaper but the 8 series has better speaker. Samsung is the best for Smart TV. This is the best tv i have ever seen even compare with the OLED. The new technology samsung give with the new QLED screen is the best of the best. The tizen interface is really good as well and the one conect box is just something incredible. Excellent in all respects. Adds a whole new dimension to TV viewing. 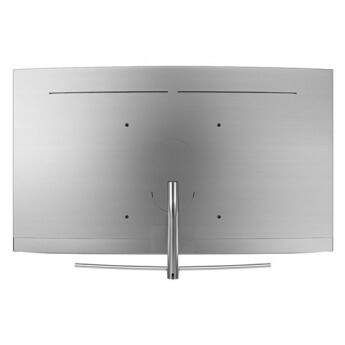 This is a fantastic TV, I was expecting a great TV but was surprised at just how good it was. I recently bought the Q8C 55&quot; and Q7F 49&quot; both have the same issue which has been forwarded to Samsung support. Objects moving across the screen can create ghosting and Artefacts to appear.